It's summer and the last thing you and/or your teenagers want to be thinking about it school, right? But choosing the right field of study is vital for a variety of reasons. Green-minded and socially-minded moms, dads, and kids have more than just a future alma mater on their minds when it comes to making this choice. As the world moves toward a global economy, the health of people in different countries becomes a matter of great urgency to those of us in the United States. Or at least it should. Greater mobility means that an illness in one part of the world can quickly move into another area. The natural disasters that harm people in other countries result in massive efforts to send aid and help the local communities recover. Third world countries without access to clean water are suffering from preventable diseases and are now being assisted by different charity groups and other countries. Public health education prepares people to deal with these challenges and help improve the quality of life for people worldwide. In this mobile society, diseases don't have to wait until an explorer takes them across an ocean. People can become infected and contagious when they visit a third world country. Then the disease is apt to spread upon their return home. Knowing how to counteract and deal with these problems helps keep people around the world safe, as well as improving the overall health of people in the originating country. Throughout the world, regions remain where fresh drinking water is in short supply. People are dying from easily preventable diseases. With a public health education, you can take a more meaningful role in helping those countries improve access to water and overall health. The University of Southern California (USC) is only one institution offering this valuable degree. It's important to choose the right school for this education. Look for an institution that has faculty members who have been actively involved in cutting-edge research. A more diverse background will provide you or your teenager with a more impressive education range so that you can work toward addressing the most critical issues facing the world today. In addition to assisting communities dealing with age-old problems like water shortages, you can also help address emerging problems that threaten the health and well-being of modern nations. When it's time to invest in education for yourself or your children, there are countless degrees to consider. This type of education provides you with the ability to help people throughout the world in the most basic and important ways. With the advancements in online programs, you'll find that getting the degree is now easier than ever before. If you are in a position to choose a path that will have a global impact, consider a getting an education in public health. We can't all do it, but somebody who cares has to! It's Friday's Instead of This, Use This. I was 20 when I first moved to Pittsburgh and got a job working at a deli. I took a year off school and managed the store while the owner went to seminary and I even met my late husband there. Jim would come into the deli for lunch every day. I thought it was because he really liked my turkey on a hard roll with a little bit of mayo, but later found out it was really me he liked. Anyway, it was at Dave's Deli in Mt. Lebanon where I learned to quickly wrap a sandwich using wax paper. After that, wax paper was always my choice for easy wrapping of sandwiches, etc. And it sure beat trying to squeeze a sandwich into a plastic bag. Did you know that natural waxed paper is biodegradable and compostable? Automatically, that makes it a better choice than baggies, which stick around in the landfills forever. It is, quite simply, better for the environment. If you have trouble finding natural wax paper that isn't made from petro, you can purchase If You Care Wax Paper by clicking this link. And no, this isn't a sponsored post. I just like to lead you to some awesome products sometimes. So, the next time you're packing a lunch or a picnic basket, forget the plastic bags and reach for the wax paper. 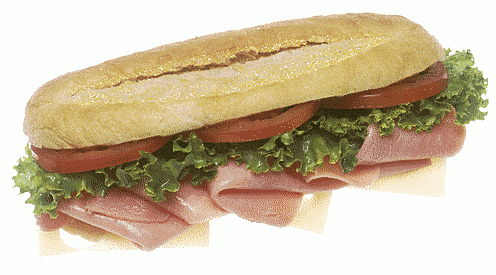 If you're not sure how to wrap a sandwich securely, click here for step-by-step instructions. Instead of a plastic bag, use wax paper. Who believes we have the right to know what is in our food? 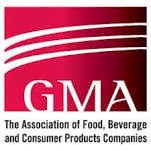 Well, apparently the Grocery Manufacturers Association (GMA) is going to do whatever it can to keep that from happening. They believe you have NO RIGHT TO KNOW and they're pouring MILLIONS of dollars into the campaign to prevent mandatory GMO labeling. So, who are the big shots in the GMA? Here are the top 20 who are funding the anti-labeling campaign. I'm sharing the company names because I believe you have a right to know who these companies are and boycott them as you see fit. Disclosure: This is a pre-written sponsored post. I received compensation for posting this on my blog. Happiness may be a state of mind or an attitude, but virtually every person is driven to do activities and be around people that will make them happy. Happiness certainly is a huge motivational factor in people’s lives. It’s why people go on vacation. It’s why people seek a certain high-paying job. It’s why families get together for holidays and other joyous occasions. Despite what makes people happy in receiving, it is really in the giving that makes people rejoice. There are many ways to give to the community. Some people keep care packages in their vehicles and hand them out when they see homeless people. 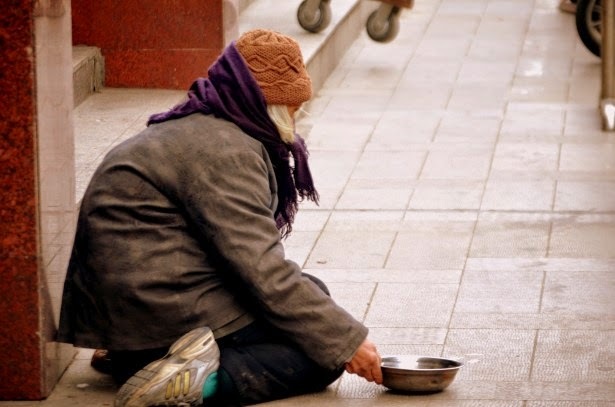 Many people volunteer at homeless shelters. Others take part in community service to give back. Whatever the form of giving, it provides the highest level of happiness because it brings relief and happiness to others. It is usually those who have gone without who help others the most in bad situations. They understand the pain felt in certain circumstances. In this way, people can turn personal pain into something beneficial to others. Many others simply understand that in a world filled with numerous resources, no one should have to go without. There are other ways to reach out to the less fortunate. For example, by reaching out to the less fortunate with performing arts, they too can be enriched and empowered. Several artists, actors and singers perform for under-resourced communities in an effort to improve others’ lives through beauty, inspiration and encouragement. Even if a person was not able to directly volunteer to help the less fortunate, it is possible to donate to the cause. A donation can help others volunteering their time to perform. The ultimate happiness is in knowing that a difference was made for a person who otherwise may not have had any help. Empowering others through art expands their minds. From viewing art, people think of their own creative possibilities that open doors in many parts of their lives. Art provides a creative outlet that can also help with stress-reduction, provide a way to earn money and simply make the world more beautiful. It doesn’t matter so much how a person gives, what matters is that they do. Today, my baby turns 30. How did that happen? Moms... as you're struggling to keep up with the laundry and the grocery shopping and the cleaning and the endless activities, remember this -- it goes by in a flash. One day, they're driving you a bit crazy and then, all of a sudden, they're grown with children of their own. So, dear ones, pay attention. Capture memories in your heart. Put down your phones and iPads. Turn off the TV. Take a good look at your little ones, because I guarantee it -- they won't be little for long. 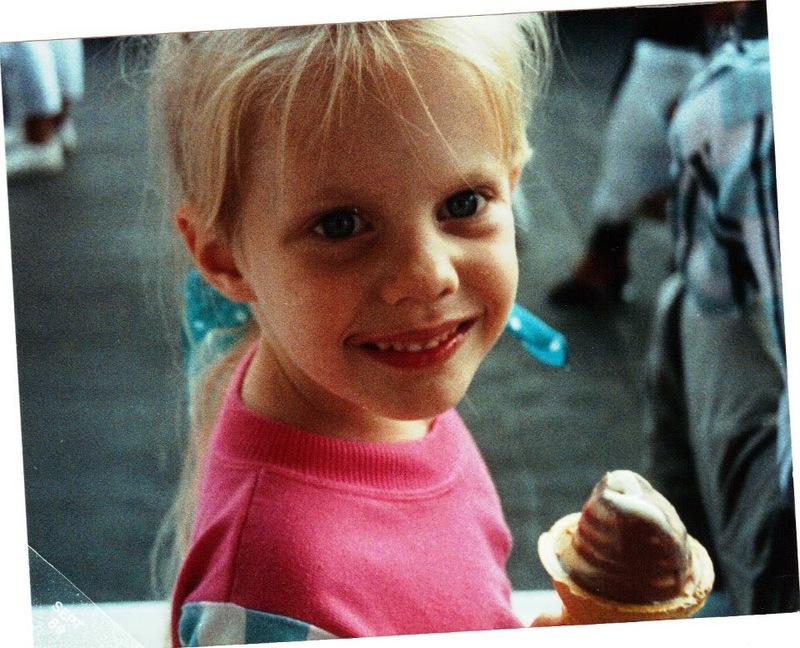 Happy birthday, precious daughter of mine. May all of your dreams come true. This. THIS erases all the bad news about Monsanto and aspartame and GMOs and fracking... at least temporarily. In moments like these, I'm reminded that the world is still a pretty spectacular place. 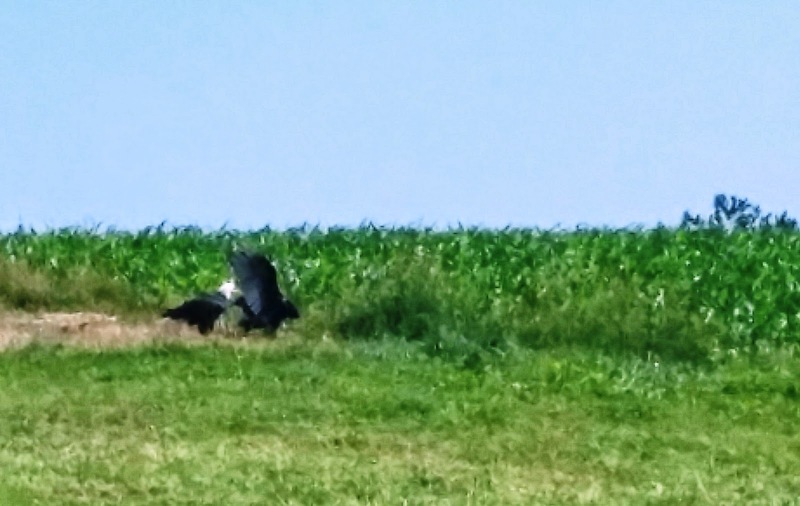 I spotted this pair of bald eagles while driving on a country road in Lancaster County. My husband turned the car around and stopped so I could cross the field for a closer look. 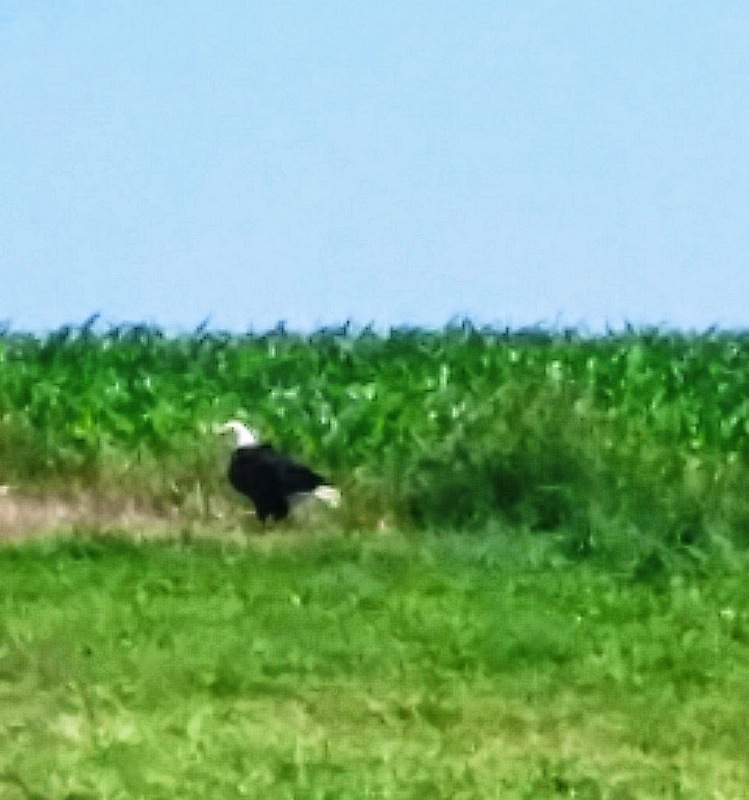 I couldn't believe I was this close to a bald eagle in the wild! The male decided I was close enough. Shiver Me Splinters! It's a Tree Swing Giveaway! Our yard is full of huge oak trees. Unfortunately for us and the grandkids, that means there are no low hanging branches to tie a rope for a swing. I happen to love tree swings. What about you? The height you can go is amazing. You feel like you are flying! Growing up, I didn't care what kind of swing it was, I just loved tree swings. To help celebrate Summer Fun Shiver me Splinters And Economical Mommy are happy to team together to bring you a tree swing like no other. Shiver Me Splinters creates fun and unique hand crafted circular disc tree swings. They are quite sturdy, 'even for an adult to swing on,' and come with rope, so the moment your tree swing arrives all you have to do is find the perfect branch and hang it up. To read more about this tree swing from Shiver Me Splinters head on over to Economical Mommy. To Enter this Summer Fun Giveaway you must be 18+ years of age and live in the US. Giveaway will run from Midnight on June 20th until July 5th at noon. You can enter every day for more chances to win. It's Friday's Instead of This, Use This and since we're embarking on the first day of summer tomorrow, I thought it was the ideal time to remind you that the sun and wind do a perfect job of drying your laundry. The spring boasted quite a bit of pollen in our area this year, so line-drying was not always practical, especially for those with allergies, but the spring pollens have wrapped up their annual visit and it's time to let the amazing fresh air smell permeate your laundry once more. Or, for some of you, for the first time. Let me just encourage those of you in the latter bunch to try it; you'll like it. Is it more work? Of course. But the smell is worth it. It is seriously my favorite scent in all the world, and no artificial fragrances can come even close. Plus, all that bending and reaching makes for a pretty good workout. When was the last time you burned calories when doing laundry? There is one more, rather important, advantage. When you line dry your laundry, you save energy. It is, without a doubt, the environmentally-responsible thing to do. Naturally, not using your dryer will save you money as well. So that's it. Short and sweet. 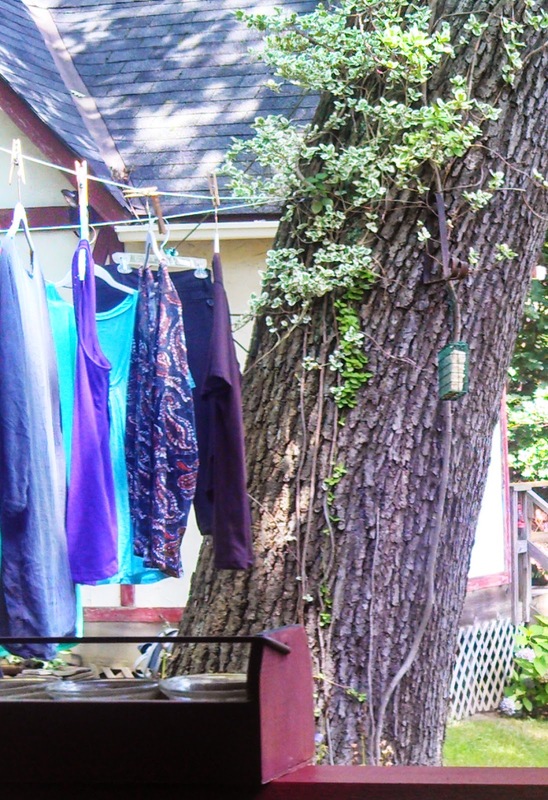 Instead of the dryer, use the clothes line. Even if you don't want to do it for all of your laundry, at least give the sheets a try. You'll be won over. I practically guarantee it. Who's in for the challenge? I'm happy to welcome guest blogger, Katie Wiler, author of "NATURAL HOMEMADE PEST REPELLENTS: Quick and Easy Solutions That Are Safe, Organic and Non-Toxic." Katie is sharing some of her expertise with us on how to get rid of nasty pests without resorting to chemicals. Many of what most people consider pests or undesirable insects or vermin are actually beneficial animals and all contribute to the diversity and web of life on Earth. 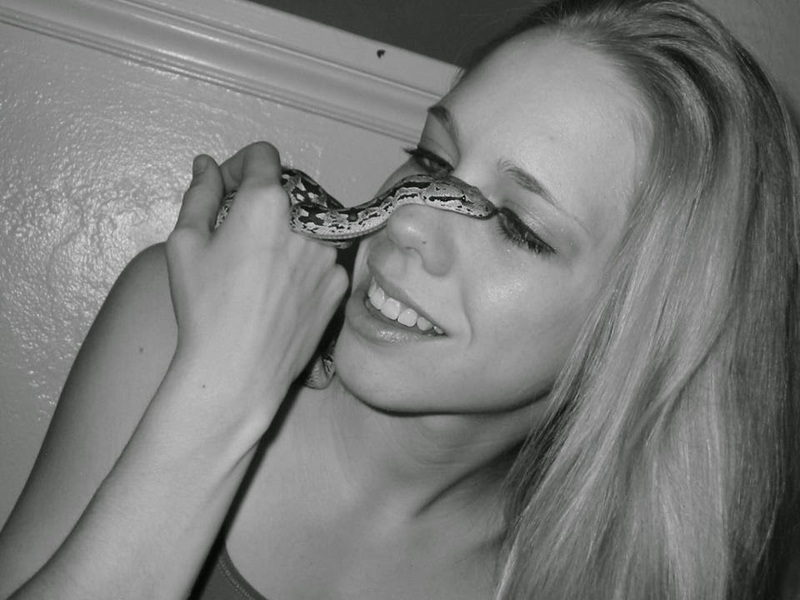 Each creature has its place in the Whole. In general my philosophy follows the ‘kinship with all life’ ideal which is more in the line of; “repel them; don’t kill them,” when at all possible. Sometimes I find myself rescuing the wayward bug that has found its way into my home and gently placing it outside where it belongs. It’s far better to use natural preventative repellents whenever possible rather than toxic pesticides which can make things worse. When you use toxic chemicals this non-selective, mass killing with synthetic pesticides also kills off the beneficial insects, only exacerbating the problem. Also, toxic run-off in our neighborhoods, communities, rivers, lakes and streams does an incredible amount of damage to the environment! You don’t want the bugs and pests in or around your home, but you don’t want the toxicity of harsh chemicals or pesticides either. So what can you do that is safe for you, your children, your pets, your home, and the environment to get rid of those unwanted critters? Every year in the United States, over 1 billion pounds of pesticides are used on American family homes, lawns and gardens… even more than farmers use! Worldwide, 5.6 billion pounds of pesticides are used every year! The run-off from this overuse of pesticides is hurting us and contaminating our food supply, our water, and our rivers, lakes and streams. In fact, most of the toxic poisonings from commercial pesticides are coming from single-family homes! We can make it safer for our families, our homes, our gardens, wildlife, and the environment by giving it some thought and choosing ‘a different way’ that is healthier and more natural. Fortunately today, with a more enlightened way of thinking about living on the Earth and how we share the planet with other living creatures (who all have their place in the Whole), we have many wonderful homemade solutions from herbal lore, as well as simple, inexpensive, grocery, and home store products we can use to repel the insects and animals we’d like to keep out of our homes and gardens. Luckily, there are numerous and varied alternatives to the harsh, commercial chemical products on the market… and they are generally much cheaper too! Did you know – some little known facts? 1. Spiders have feeding sensors in their feet that help them search for food and they really hate the taste of things like citrus oils, orange oil or lemon oil. 2. It’s better to use yellow outdoor lights instead of white lights since bugs of all kinds are less attracted to yellow than white light. 3. Citronella candles can repel mosquitoes; however they are ineffective in open areas. 4. Planting marigolds in your garden naturally repels mosquitoes because of their smell. 5. Thai Lemon Grass – Thai lemon grass is an especially effective repellent in your garden against mosquitoes, but any type of Lemon Grass will do. 6. Keep grain or pantry moths and weevils out of your flour, pasta and grains by placing a stick of cinnamon or bay leaf in the jar with your staples. Moths hate the strong smelling spices and the spices will not affect the taste of your food. 7. Sprinkling coffee grounds around your plant beds will deter ants. With some careful consideration of the more non-toxic ways of dealing with unwanted critters in your home and garden, now you can arm yourself with effective DIY solutions that are much safer. You’ll not only save a lot of money but will feel good about keeping your family and pets safe while ridding yourself of the unwanted pests that “bug” you. Don’t let the pesky, little invaders spoil the enjoyment of your home and outdoors spaces. Learn new, healthier, more effective ways of dealing with them so you can spend more time enjoying your home and environment. 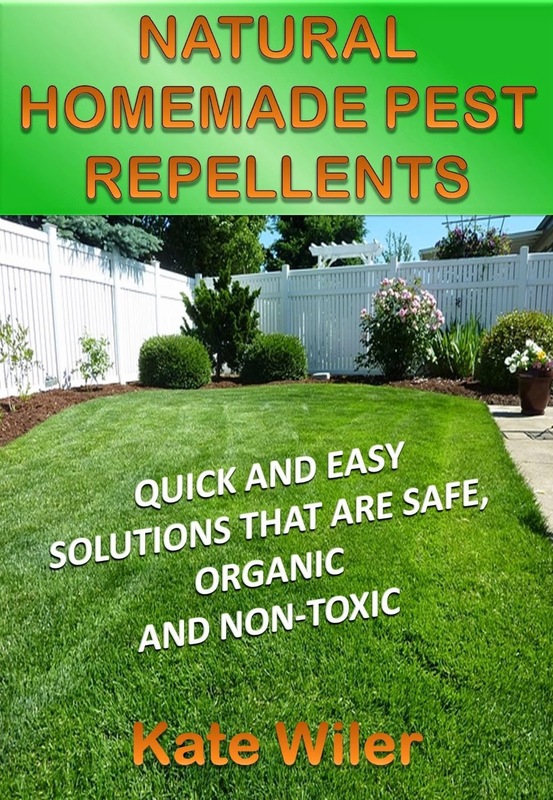 Kate Wiler is the author of best-selling Amazon e-book, "NATURAL HOMEMADE PEST REPELLENTS: Quick and Easy Solutions That Are Safe, Organic and Non-Toxic" where you can find more information on natural pest control. You can follow Kate on Facebook, Twitter, and Pinterest. Disclaimer: I have not read Kate's book so I cannot vouch for the authenticity of the non-toxic, safe, and organic solutions recommended. 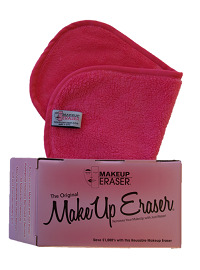 The Original Makeup Eraser -- review and giveaway! Disclosure: This is a sponsored post. I received product and/or compensation in exchange for the possibility of a review. I was under no obligation to write a positive review. The below is based on my honest opinion and that of my daughters. It's Review It Wednesday and I have a confession to make. I hate washing my face. I just do. Years ago, I was thrilled to discover makeup remover pads (I forget which brand). Every night, I'd open the plastic container, take out a pad, wipe off my makeup and go to bed. Of course, that's before I realized the environmental impact of disposable makeup removers. And it was before I realized the toxins embedded in most of these products. So I've searched for solutions. One such solution is called The Original Makeup Eraser. This shocking pink cloth comes cleverly packaged in a light pink box that is the shape of an eraser... you know the kind we used to use in school. Cute marketing. When Jessica Lucero contacted me and asked to review the Makeup Eraser, I readily agreed. To make it a fair deal, there were three cloths sent to me -- one for me to try and the other two were for my adult daughters. My first reaction after removing the MakeUp Eraser from the plastic bag was, "Oh my goodness. This is unbelievably soft." I wanted to cuddle with it, not use it to remove makeup! It really is that soft. I followed the directions and washed the cloth first. I used soap nuts liquid detergent, vinegar, and absolutely NO fabric softener (I gave that up over four years ago). Then came the time to test the cloth. I wet it and, using only a small section of this generously-sized cloth, I wiped all the makeup off my face. It cleansed easily without any tugging... even removing my stubborn mascara. As I was rinsing the cloth out so I could hang it to dry, I started to itch. I looked in the mirror and discovered there was a fine pink lint covering my face. I started "peeling" it off with my fingernails and as I did, I watched as small welts broke out across my jawline and cheeks. It was unpleasant, to say the least. Obviously, I was allergic to something in the cloth and I guarantee you, I've never used it again. On the other hand, when I went to DC with my daughter a few weeks ago, I noticed she had her Makeup Eraser with her. As it turns out, she loves it. It's the only thing she uses on her face. Interesting. As I said, I was probably allergic to something in the cloth. That, coupled with my post-menopausal skin with the feel of a very fine sandpaper, was probably the problem for me. I don't think it was the cloth, per se, but rather, it was the condition of my dry sky. 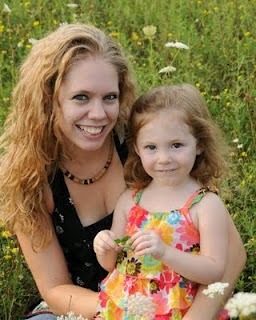 With my daughters being in their late 20s, early 30s, their experience was totally different than mine. So I am going to recommend that you try it. There's an easy way to do that, too, because Ms Lucero has graciously agreed to send a cloth to a lucky Green Grandma community member. All you need to do is post a comment below. But first, let me tell you a little bit more about The Original Makeup Eraser. This cloth is completely chemical free, although it is made from a polyester blend, which is not known to be the most eco-friendly material. But, because you use it every day and wash it once a week, you'll save packaging and manufacturing implications of soaps and cleansers, as well as a bunch of money. The cloth boasts an unfavorable environment for harboring bacteria and is guaranteed to last for at least 1,000 washings. Of course, you want to use a mild detergent and absolutely no fabric softener (you really shouldn't use fabric softener for anything... seriously). Plus, it's completely effective in quick removal of waterproof makeup and it is safe for false eyelashes. In my daughters' cases, the Makeup Eraser leaves their skin soft, exfoliated, and residue-free. Since it's not microfiber, it doesn't dry out your skin. My experience was different, but like I said, I'm sure that had to do with my aging skin. Reasonably priced at just $19.97, this is one purchase that is going to save you plenty of money in no time. So, who wants to win one? I'm going to make it simple. All you have to do is post a comment below telling me how you remove your makeup or cleanse your face every night. A winner will be chosen via Random.org based on the number of entries received and The Original Makeup Cloth will be sent to you directly from the distributor. Contest ends at 11:59 p.m. ET on Tuesday, July 1st and is open to US residents only. You must be 18 or older to participate. Is that recyclable? Maybe so. If you're like me, when it comes to recycling, the matter of cosmetic bottles and tubes gets a bit confusing. Keep America Beautiful just posted some helpful info on sunscreen containers that could carry over to other types of personal care items and cosmetics as well. If the product comes in an metal spray bottle, most likely it can be recycled if it's steel or aluminum. #2 plastic (HDPE) bottles are usually accepted, while #4 plastic (LDPE) bottles or tubes can be iffy. Either way, remove any pumps in the bottles, as they are usually made of various types of plastic. Sadly, you just have to toss them. If you're unsure whether or not something is recyclable, contact your local recycling center. You can enter your zip code to find one closest to you by clicking here. I find this to be an amazingly helpful resource. So, that's your recycling tip for the day, thanks to Keep America Beautiful. Working together, we can make that more than just a saying! “Go ahead, Mom, read yours,” I said, as the Boggle game timer dinged. Our separate lists of words competed with each other. “How’d you get ‘shelter’?” I challenged, looking across the kitchen table at the scrambled vowels and consonants. Bent fingers glided across the letters. She was right and her list of words trumped mine once again. In my mother’s kitchen, it wasn’t just about the food – it was about the words. Words spoken around this small table where secrets were whispered, good news shared, wisdom imparted. The table holds within it memories of a lifetime of visits, of family, of broken hearts, of friends. New babies bouncing on laps, children kneeling on chairs dropping cinnamon hearts into warm applesauce as it squished through the strainer. Widows trying to find their way. Teenagers attempting to do the same. All of us digging our toes in the proverbial sand, finding our place, murmuring the word “home.” If I’m quiet enough and I gently rest my ear upon the table, I can almost hear the voices. I long for those voices as I sort through cabinets, clearing them out for the next family destined to fill this kitchen with their own words. Newlyweds whispering of want. Babies babbling. Teenagers voicing rebellion. Word games played, vocabulary lists reviewed, letters written. I have dreams for this kitchen, for this home. My life has, in one way or another, revolved around this place. My words were born here – some mimicked and some surely my own. I learned to speak here, to spell, to write. My first poem was penned at this table when I was barely old enough to put words to paper. My father, gone for over thirty years now, left his impact in this house through the words he’d spoken. Sometimes, they were stern, reproving. Other times, instructive. Often, they swelled with forgiveness and grace. His words resound as I whip up an omelet. “It’s in the wrist,” he taught me. Every time, whether here or across the state in my adult home, I hear his words as I twirl the fork swiftly through the yellow foam, and I’m transported, with regret, to a time and place when my younger mind quickly rejected many of his words. Now, with my mother gone, it’s time to part with this place – the childhood home I never outgrew, the walls ever expanding to welcome new folks into the fold. Even as I look out the front door, the street calls to me with memories of bicycle rides and walks in the rain; of running to the corner to meet my best friend. There were birthday parties and sleepovers. Missed curfews and subsequent groundings. I look out the kitchen window and see my prepubescent cousin and me crossing the backyard in our pajamas midday, the summer breeze carrying our giggles ahead of us. I remember my mother’s words as she phoned my aunt for an explanation. In that same backyard, I see picnics and badminton games, croquet and cookouts. I see my mother lounging in the sun, the newest best seller on her lap, bed sheets flapping in the wind. I hear laughter, conversation, and storytelling. All around me I see and hear home. It is said once a house is vacated by the people who lived there, it becomes merely a shell. I have to disagree, for this house whispers of tender moments and resounds with joyous laughter… a communion of those who were fortunate enough to spend time here within these precious walls. Alone in the kitchen, I sit at the table, shake the Boggle cube and lift the lid. Blinking away tears, I start to write on my lone list: S-H-E-L-T-E-R.
“That’s four points, Mom,” I say. And just like that, I feel a warm embrace. A shelter indeed. A Shelter, Indeed and similar stories can be found in CHICKEN SOUP FOR THE SOUL: HOME SWEET HOME, available online and in stores now. Award-winning writer, Hana Haatainen-Caye, changes hats often in the course of the day. Whether standing behind a microphone narrating a children’s book (as Maya Ray) or poring over books at the library as she researches her next biography for kids, she switches gears often. 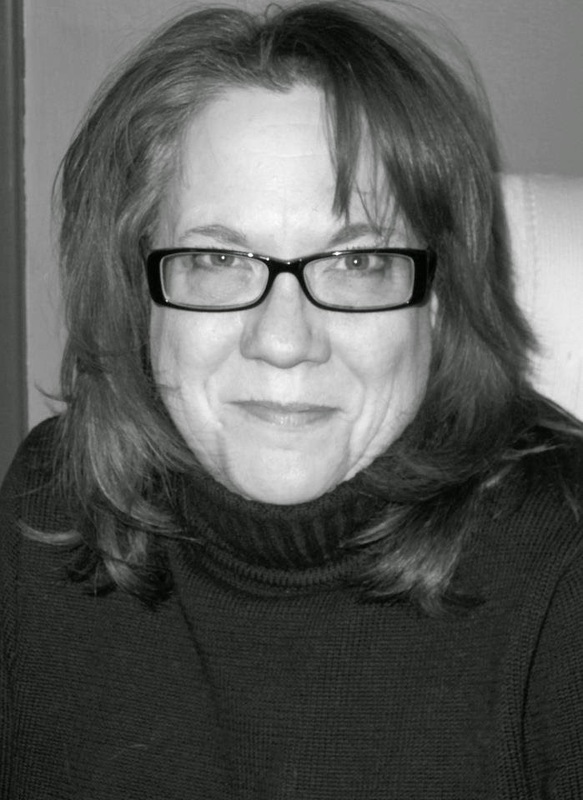 As an editor specializing in short stories and non-fiction, she’s edited countless stories for the Chicken Soup for the Soul anthologies. She’s published close to 40 children’s books with Marvel’s iStorybooks, and is currently under contract for twelve more. Multi-published in Chicken Soup for the Soul, her 8th story in the series hits the shelves on August 19th. It's the Eco-Friendly Summer Giveaway Hop!